Once considered a last-resort option, gift cards are now among the most requested presents of the holiday season. In fact, a National Retail Federation survey found that 61 percent of consumers wanted a gift card in 2016. Although you might be thinking you can’t go wrong if you get gift cards for the people on your holiday gift list, the truth is it depends on the card. There are several types of cards you should avoid buying, because they have restrictions that make them difficult to use, contain purchase fees or are issued by stores that are struggling financially. Click through to see the worst gift cards to buy — and find out which gift cards you should buy instead. Looking for a gift card for your tool-loving dad? You might want to explore other thoughtful gift ideas instead of heading to Ace Hardware for a gift card. The restrictions on Ace Hardware gift cards make them difficult to use. For starters, you can purchase Ace Hardware gift cards on the retailer’s site, but they can only be used at participating locations — not online. And cards purchased online are only available in denominations of $20, $25, $30, $50 and $100. Gift cards purchased in Ace Hardware stores are available in any amount between $5 and $250. Plus, the cards aren’t reloadable, and you can’t check your balance online — you have to call. These gift cards also have expiration dates, but stores will honor the cards if they have a remaining balance. American Express charges a purchase fee on its website for gift cards, which is a strike against it for the buyer. Plus, standard personal gift cards are only available in set amounts starting at $25. The funds on the card don't expire, but the card will have a "valid through" date. If the recipient wants to keep making purchases after that date has passed, the card will need to be replaced. Instead of giving an American Express gift card, make the gift more personal with one of these gift ideas based on zodiac signs. The parent company of Ann Taylor, Ascena Retail Group — which also owns Dress Barn, Loft, Lane Bryant, Justice, Maurices and Catherines — announced in June it would be shutting down between 250 and 650 locations. The retail company's uncertain future means gift cards might no longer be redeemable in-store for long. Instead, consider buying a gift card at a different women's clothing retailer. Or, visit one of these retailers during their sales to find affordable gifts. A gift card for auto parts retailer AutoZone might seem perfect for the car enthusiast on your gift list. But, the maximum amount you can load to a gift card is $200. Other retailers that sell automotive parts might offer a higher maximum. Pep Boys' maximum limit is $1,000, for example. If you have a car enthusiast on your gift list, here's another gift idea they'll love: Take them to one of the best attractions for car lovers. Some might cost more than a typical gift card, but many have affordable entrance fees. An eBay gift card gives recipients access to a range of products. And it can be purchased online at eBay — either in an electronic or classic card form — or at retailers such as supermarkets and drugstores. Recipients must use PayPal to purchase items listed on eBay, though. So, they would have to create a PayPal account to redeem an eBay gift card — which might be too much work for your gift recipient. GameStop is one of many major retailers struggling financially, and it announced plans this year to close down some of its physical stores. The new and used video game store said in March that it would be shutting down as many as 190 stores due to poor video game sales, CNN reports. A safer bet would be to buy a gift card for Target or Amazon, which also sell video games. JCPenney gift cards have no fees or expiration dates, and can be used both online and in-store. However, it might become increasingly difficult to redeem these gift cards in-store, as the chain announced in February it would be closing between 130 and 140 stores. If your gift recipient doesn't like online shopping, avoid giving a JCPenney gift card — there might no longer be a physical store near his or her home. Although Macy's sells a wide range of affordable items, from high-end apparel to home goods, a Macy's gift card might no longer be a good gift for anyone on your list who prefers shopping at a brick-and-mortar store. A January press release stated that Macy's would be closing 68 locations, so there might no longer be a store near your card recipient. A MasterCard gift card is great for the recipient because it can be used everywhere a debit MasterCard is accepted. But, there’s a fee to purchase one, and the cost can vary depending on the card's value and/or where you get it. 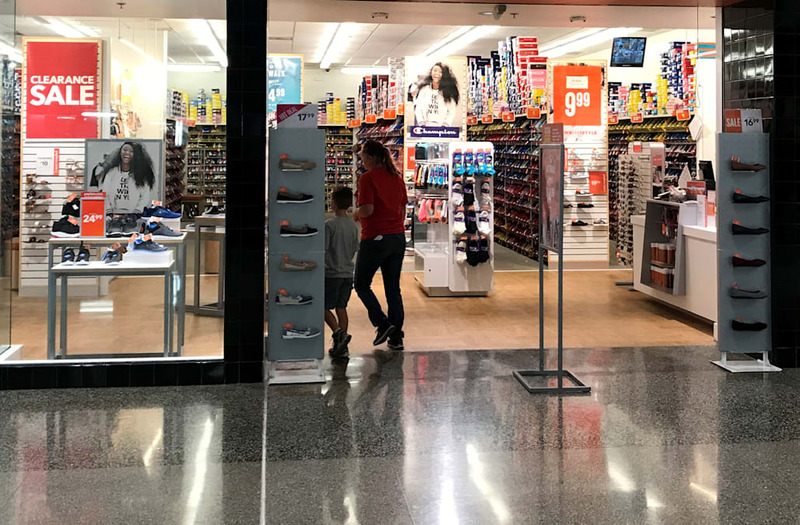 Payless ShoeSource announced in April that the company would be closing 400 stores across the U.S. and Puerto Rico after filing for bankruptcy. While Payless gift cards can be redeemed online, recipients can't try a shoe on for fit before purchasing under these circumstances. Additionally, if purchases are made online, the recipient might have to pay shipping costs — returns are only free if taken to a store, which obviously poses a problem if there are no stores in the area. The discount shoe retailer does not allow exchanges to be made by mail, only in stores. Instead, buy a gift card from a retailer with the best return policies. You can buy a Ross Dress for Less gift card on the retailer’s site, but you have to pay $1.95 for shipping and handling, or $4.95 if you want a personalized greeting card. Plus, you can’t use the gift card online because Ross doesn’t sell merchandise on its site. Teen clothing store Rue21 is expected to close up to 400 stores, the Associated Press reported in April. While gift cards are redeemable online, the recipient might have to put some of the balance toward shipping, as the site charges for shipping on orders under $50. Rue21 offers free shipping to stores for purchases over $35, but if there is no longer a local store, this option is useless. A better bet is a Nordstrom gift card, which is redeemable in-store and online. It's one of the retailers that offer free shipping and returns for online orders. Sears is another major retailer that is struggling. In fact, the retailer has announced 50 store closings since December of last year. So, purchasing a gift card to Sears might be risky, said Perez. While Sears sells a range of products — from tools to clothing — it can’t compete with Amazon, Target, Walmart and other retailers on products and pricing, said Perez. You might be better off getting a gift card from one of those retailers instead. This means those who receive Toys R Us gift cards might not be able to use them at an actual store for very long. So, the cards might not be the best gifts for children who want to browse the aisles at a physical toy store. If you want to give someone a gift card with a lot of flexibility, a Visa gift card is a good choice. You can purchase one through some banks, at retailers and online at sites such as GiftCards.com. However, a Visa gift card can be a bad deal for the buyer because there’s an additional purchase fee, said Perez. “Paying more than the face value of a gift card is a bad deal,” she said. The fee can vary depending on where you buy the card and the card's value. For example, the fee ranges from $2.95 to $6.95 at GiftCards.com. You can purchase Walgreens gift cards online — and they do ship for free — but you can only choose from three card values: $25, $50 and $100. If you want to buy a gift card for an amount in between, or any amount over $100, you have to purchase in-store. Other major pharmacies, such as CVS, allow you to purchase any gift card value between $5 and $150 online.